A scholarship program for spouses of junior military personnel may be contributing to higher retention rates, as well as helping the spouses’ job prospects and earnings, according to a recent study from the RAND Corporation. The My Career Advancement Account Scholarship Program — known as MyCAA — is a Defense Department initiative that provides up to $4,000, with an annual cap of $2,000, for certain spouses to get training for portable careers. The scholarships can be used toward associate’s degrees, occupational certificates or licenses in portable career fields. The intent is to help spouses pursue portable careers early on, so that they might more easily weather the frequent relocations and other barriers to employment. “The RAND report validates the My Career Advancement Account Program’s direct and positive impact on military spouses and service members,” said A.T. Johnston, deputy assistant secretary of defense for military community and family policy, in a DoD press release. The scholarship program is "associated with higher retention rates of service members married to scholarship recipients, which ultimately enhances overall force readiness and supports the department’s goal of increased lethality,” the press release stated. Researchers looked at spouses who were eligible for MyCAA between October 2010, when the current version of the program began, and December 2011, and examined the employment and earnings of eligible military spouses between 2007 and 2013. Those eligible are spouses whose service members are in the pay grades of E-1 to E-5, W-1 to W-2, and O-1 to O-2. During that time frame, more than 380,000 spouses were eligible for MyCAA funding, but about 34,748 spouses, or 9 percent, applied for the scholarship. Among their recommendations, the researchers said officials should ensure that spouses across the services are aware of the MyCAA scholarship. 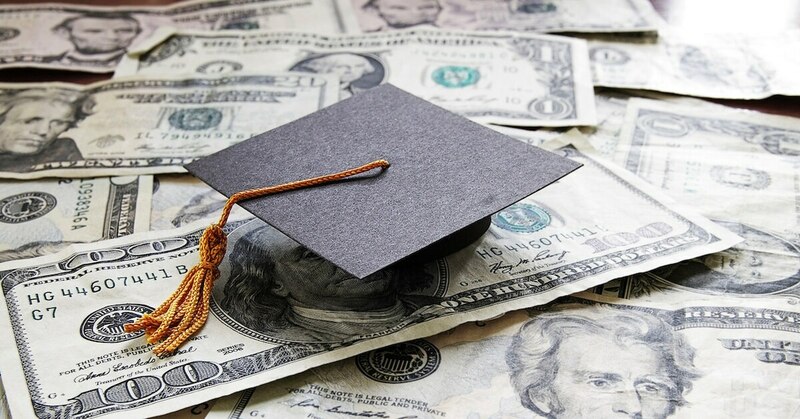 All the eligible participants whose study plans met the MyCAA requirements were approved for scholarships, although 19 percent of those didn’t use their funds. RAND researchers found that active-duty members with two to four years of service, and whose spouses used a MyCAA scholarship, were between 6 and 8 percentage points more likely than similar service members to remain on active duty three years later. Looking at service members who had three years of service in 2011, researchers found that 52 percent of those whose spouses used MyCAA were still on active duty in 2014, compared to 43 percent of those whose spouses did not. Researchers noted that this shouldn’t be interpreted as MyCAA having a causal effect on the service member’s decision to remain on active duty. However, it may show MyCAA is having a positive impact on spouses’ and service members’ desire to stay in the military, as well as MyCAA supporting spouses of service members who already have a greater desire for or compatibility with military service, they noted. Spouses who completed their MyCAA plan of study were more likely to be working in 2013 than eligible spouses who didn’t use MyCAA. MyCAA may also be related to an improvement in the growth of spouses’ earnings, the researchers said. The average annual earnings for those who completed their MyCAA plan of study grew faster from 2011 to 2013, compared to eligible spouses who didn’t use MyCAA. Again, while the results show that MyCAA is associated with employment and higher earnings, the results shouldn’t be interpreted as MyCAA having a causal effect on employment and earnings, researchers noted. Researchers used data from a number of sources, including MyCAA, the Defense Manpower Data Center, the Social Security Administration and the Bureau of Labor Statistics. The data seem to contradict concerns about whether DoD money going to private for-profit schools is benefiting spouses. Researchers found that spouses using MyCAA for educational plans at private, for-profit schools had slightly higher completion rates in their efforts to obtain a license, certificate or associate’s degree than those attending a public nonprofit school. They also were less likely to fail a course. And those who had completed that study at a for-profit school experienced greater growth in employment and earnings than those who had completed their plans at other institutions. More spouses attending these for-profit schools were seeking certificates, and those programs tend to be shorter, so students can return to or enter the workforce sooner. “Thus our interpretation is not that the outcomes of one school type are necessarily superior to those of another, but rather that at this point there is not systematic evidence that MyCAA-approved private for-profit schools yield persistently worse outcomes,” the researchers stated. Spouses who attended schools that offer only online instruction were less likely to complete their plan of study. So, where feasible, DoD career counselors should help students look for alternatives to industry-accredited schools that offer only online instruction, researchers said. About one in three spouses who were approved for MyCAA scholarships during the study time frame have been confirmed to have completed their study within the three-year scholarship window, researchers found. But that number — 11,756 — may be underrepresented for a variety of reasons. Compared to eligible spouses who didn’t apply for MyCAA scholarships, spouses who did apply were more likely to live in the South; live in states with higher unemployment rates; have two or more minor children; be married to an enlisted member in the E-5 grade; be married to a soldier than someone from another branch; have had at least one permanent change of station move between 2007 and 2011; and their service member had been deployed between 2007 and 2011. Visit mycaa.militaryonesource.mil/mycaa for information about the program.